Who doesn’t love clean and simple – and who doesn’t love pretty. So very lovely! The lucky recipients of these cards will be thrilled to pieces!!! Each card design is the same with slight variations to each. Here’s a closer view – you can see how truly easy to create this design is. 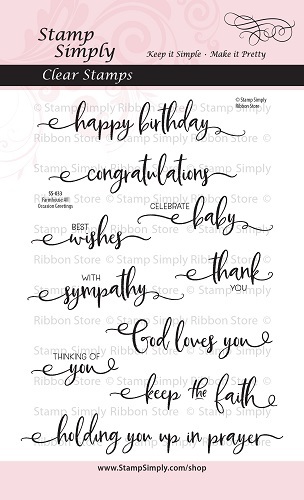 And whether you are using up scraps or cutting a fresh piece of paper, you surely get a lot of mileage from a sheet with this card design. 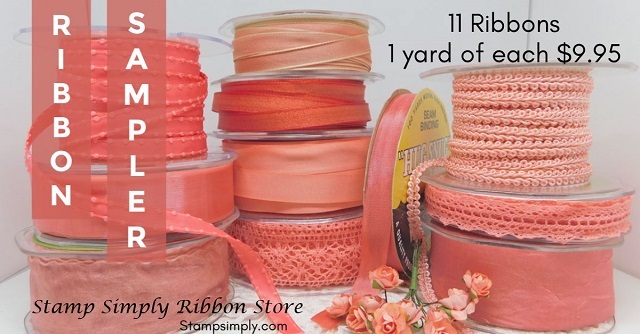 All the ribbon Michelle used is from our Living Coral Ribbon Sampler, shown above. This Sampler gives you 1 yard each of all 11 ribbons shown. 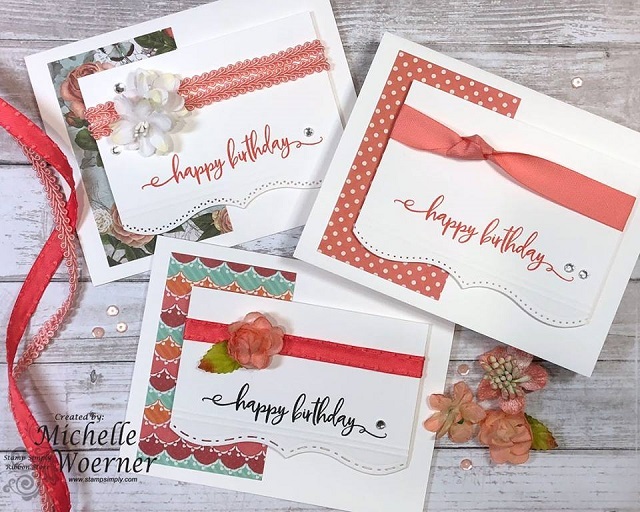 Michelle’s card design also stretches that ribbon out – using such small pieces on each card – and that’s a good thing! You can find Michelle’s post on her blog here. 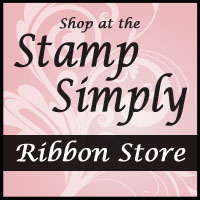 This set coordinates with our Farmhouse Series of stamps and dies for even more options. 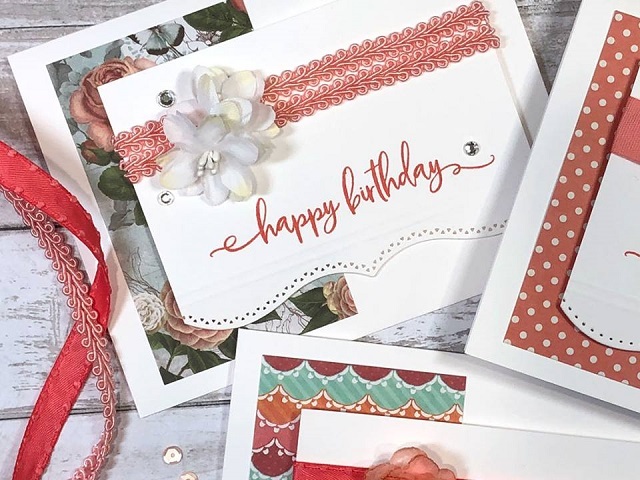 Ooh La La and Spring Bloom by Kaisercraft – BOTH ON SALE! Both of these paper collections worked in nicely with the Coral Ribbon Sampler. 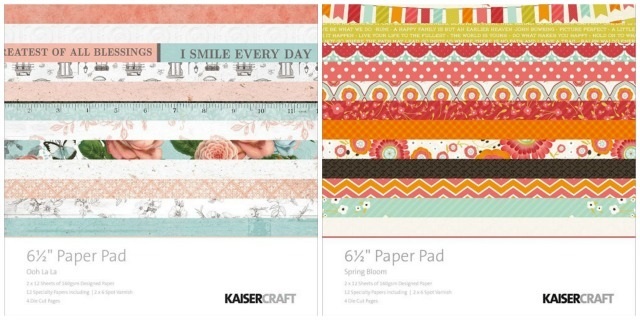 We stock a huge assortment of Kaisercraft paper pads – many of which are ON SALE right now! $5.00 shipping discount on all international orders through 12/31. 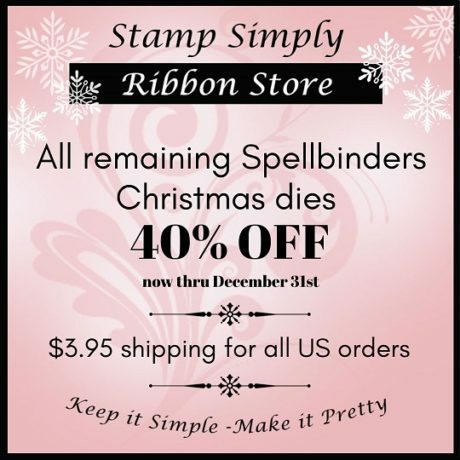 Find all of our Spellbinders Christmas dies here. Gorgeous cards. Love the layout. Thanks for the inspirationand reminder to use that die set and my mass of ribbons. Love this card! So elegant! So pretty!!! Can’t decide which I like best!! The cards are awesome. I love ribbon on all my projects. A wonderful added touch. I like versatility in my stamp sets. Thanks so much for the inspiration.